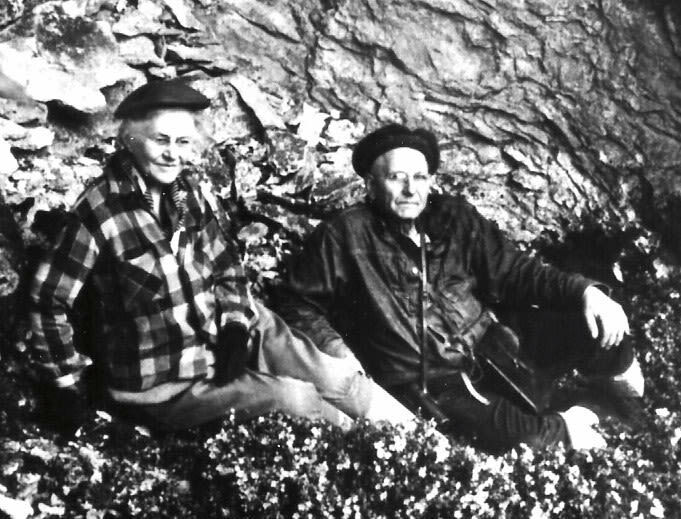 JOHN AND LILLA LEACH’S storied romance began in 1913, with John’s promise to take Lilla “where the cake-eating botanists could never go.” Proof arrived in 1930, on a trip into Oregon’s Siskyou Mountains, when Lilla spotted a patch of rose-colored plants never before seen by any botanist, cake-eater or otherwise. The Leaches’ marriage lasted, at least in part, due to Lilla’s steady aim with a rifle—she once took out a mountain lion preparing to pounce on John. But their deep love for plants and for each other lives in perpetuity at the city’s easternmost edge along Johnson Creek: Leach Botanical Garden. This issue, we offer a modest guide to the adventurousness and horticultural savvy of The Quintessential Portland Gardener. The Leaches set the standard. A stroll through the garden they left us upon Lilla’s death in 1980 is a lovely way to reach beyond the “Rose City” to a collection of local microclimates that can grow anything from evergreen oaks to irises to Lilla’s namesake shrub (Kalmiopsis leachiana). Amazingly, Leach is Portland’s only botanical garden. And it’s one of the few botanical gardens anywhere in which specimen plants have been nurtured in an otherwise natural setting. And, courtesy of John’s professional interests, Leach also features an impressive pharmaceutical garden. Recently expanded to 17 acres courtesy of an adjacent stretch of Johnson Creek’s watershed purchased with the Metro Greenspaces bond, the Leach has the potential to become East Portland’s answer to Hoyt Arboretum. But the garden is also at a crossroads. On a February visit—I’ll admit it, my first—with director David Porter and two board members, the Leach’s full range of futures was on display. The winter daphne were showing their first blooms near a smattering of old-growth cedar. The Leaches’ stone “summer house,” which they hand-built in the depths of the Great Depression, shone wetly next to Johnson Creek, which had flooded only days before. The Leach possesses the kind of civic ecology that has sometimes blossomed with breathtaking results: the Portland Japanese Garden or the Lan Su Chinese Garden. But as in the case of the Berry Botanic Garden in Dunthorpe, which closed in 2010 after 32 years, it could also die on the vine. Like a plant, an organization needs strong roots—but it also needs fertilizer. The Leaches, in a sense, provided the roots. But after fertilizing the garden for the past several years with $226,000 in grants to plan for the future, the Portland Development Commission slashed $1.25 million long earmarked for a first phase of implementation. The reasons had to do with the agency’s shift from neighborhood redevelopment to economic development—but the citizens committee advising use of the funds believes a promise has been broken and plans to fight the cut. In honor of John and Lilla’s sense of discovery, consider making a visit to the garden. And if you come away thinking our only botanical garden is worth the city’s investment, take some inspiration from Lilla: grab a pen, and take aim. The PDC’s budget hearing will take place on April 9.